Big Price Reduction. Owner says make offer. 4,500 sq. ft. Great location, 2,500 sq. ft.
Super warehouse with airport platform adjacent to the building. 5.93 +/- acres of prime property with great neighbors like Walmart, Lowes and Walgreens. 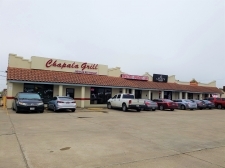 2 commercial buildings spanning a commercial block on one acre in downtown San Angelo. Can be sold individually or with listing "89233". Commercial building in downtown San Angelo. Country grain elevator and feed mill situated on 5 acres in a prime location for the area. Ideal Commercial offices for small businesses, freelancers and professional service providers. Prime property for local Commercial Retail Development. The Hunter's Lodge is an beautiful building built in 1929 and remodeled in the 90's. 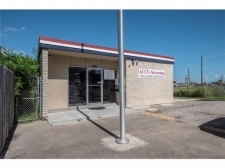 Contractor shop in the Garland Industrial Park with easy access to Dallas markets. Man camp for sale in a prime oil field service company location.